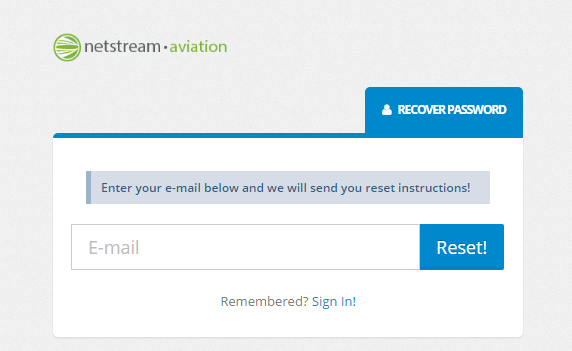 Go to the login page for your customer portal and click the "Sign Up!" link at the bottom of the form. The URL will be provided by the operation. 2. 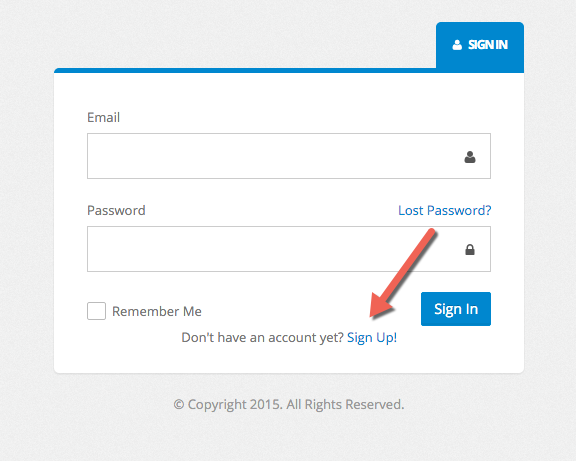 Enter your name, email, phone and the password you would like to use to login and then click "Sign Up". You will receive an email to confirm that your registration request was received. Once it has been approved you will also receive a notification to let you know that you can now login. 3. 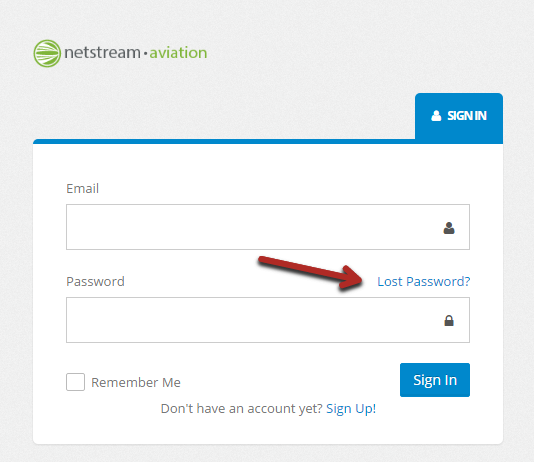 Once approved, access your portal login page, enter your email and password and click "Sign In"
Go to the login page for your customer portal and click "Lost Password". 2. Enter your email address to receive a link where you're able to set a new password. Click on the edit button next to a trip in the "Upcoming Trips" section on the Dashboard or go to trips in the main navigation. 2. 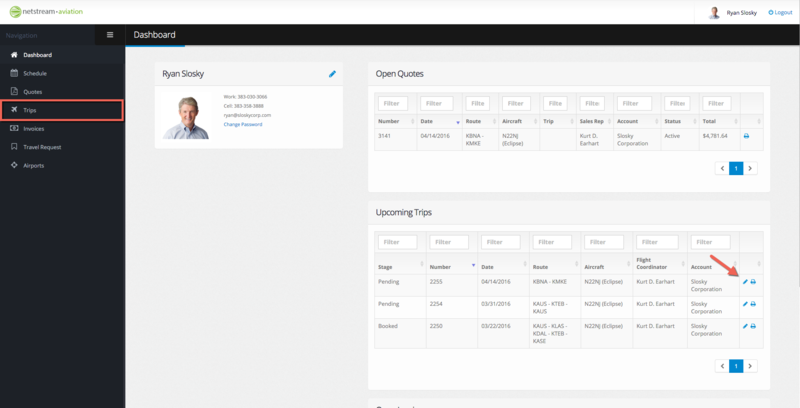 Once in the trip detail page, click the print button in the top right corner to print an up to date trip itinerary including crew members, passengers and service requests. 3. Click the edit icon to access the trip details such as adding passengers, service requests or trip itinerary. 4. To add a passenger to a trip, Click the Add Passenger button. A pop up window will appear where you can select the passenger from the drop down box or create a new passenger that is not already in the database. 5. To edit the itinerary click Add Leg, insert leg above (green plus button) or click the date/time to adjust an existing legs date/time or routing. Note: The operation controls the user's ability to edit the itinerary. 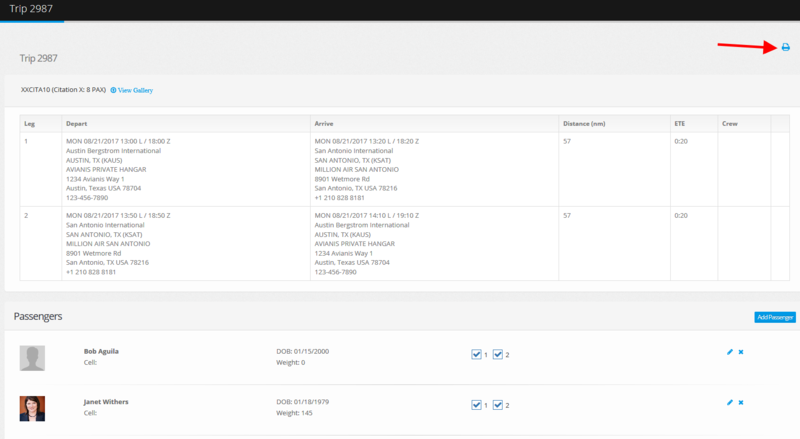 Flight legs will display gray in the trip detail page of the customer portal if actual flight logs have been entered showing the legs completion. View the schedule including trips, maintenance and personnel events. There are Day, Work Week, Week, Month and Agenda view options in the top right corner of the calendar. 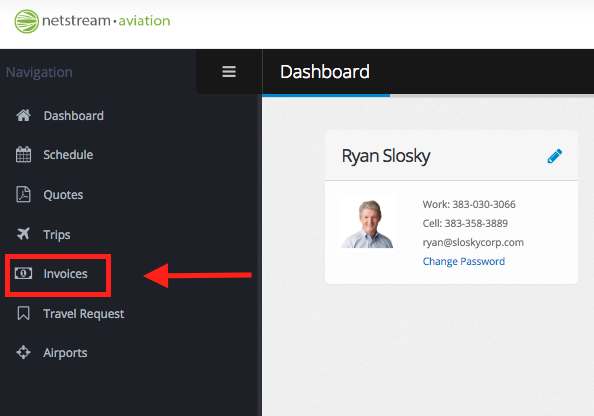 Gray: A trip your company's account is scheduled on, but on another aircraft other than the main company aircraft (other aircraft include aircraft within the fleet, vendor aircraft and generic aircraft). Enter all relevant itinerary information and click "Submit"
2. Enter the date range, then click the "Search" button. Please note the "Date Range" checkbox must be checked to search by date range. 3. 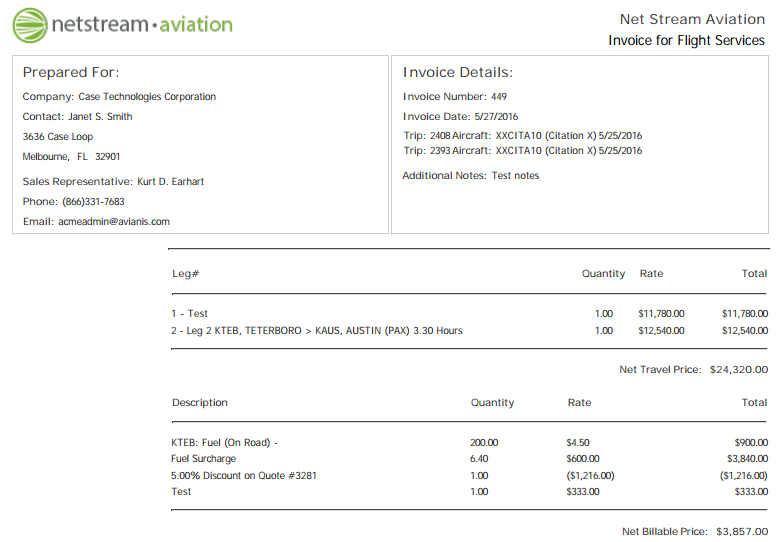 View and print the invoice by selecting the "Printer" icon next to the associated invoice on the right side of the screen. 4. The invoice will appear in a new window. Review and print the invoice. 2. Select a report, a month or quarter and year to view the preferred data.